More than 670 colour photographs present the Paleozoic plants that covered the earth from 500 to 260 million years ago. These plants provide some of the earliest records to the greening of planet earth. They also make fascinating, very attractive fossils, which can be considered as “nature’s artwork.” The fossil record provides a window into the first “forests” of the Devonian Period, followed by the peculiar plants of the Lower Carboniferous. These plants, in turn, were followed by those of the Upper Carboniferous, abundant vegetation that is responsible for almost half of the planet’s coal seams. Coal swamp vegetation is followed by the more sparse Permian floras, which preceded what was the earth’s most profound extinction event. Marine plants also make their appearance in the world during this period, as do various puzzling fossil tracks and burrows previously thought to be marine plant fossils. This book is for all who are curious about the ancient earth. Artist/Author: Cantrill, David J. and Imogen Poole. The fossil history of plant life in Antarctica is central to our understanding of the evolution of vegetation through geological time. It also plays a key role in reconstructing past configurations of the continents and associated climatic conditions. 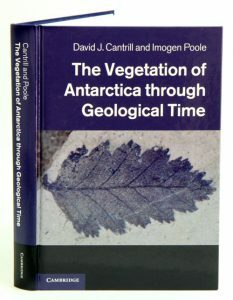 This book provides the only detailed overview of the development of Antarctic vegetation from the Devonian period to the present day, presenting Earth scientists with valuable insights into the break up of the ancient supercontinent of Gondwana. Details of specific floras and ecosystems are provided within the context of changing geological, geographical and environmental conditions, alongside comparisons with contemporaneous and modern ecosystems. The authors demonstrate how palaeobotany contributes to our understanding of the palaeoenvironmental changes in the southern hemisphere during this period of Earth history. The book is a complete and up-to-date reference for researchers and students in Antarctic palaeobotany and terrestrial palaeoecology. 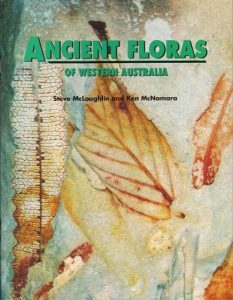 Ancient floras of Western Australia. Artist/Author: McLoughlin, Steve and Ken McNamara. 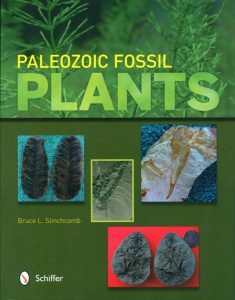 This booklet provides an illustrated overview of Western Australia’s fossil plant record based on the fossil collections of the Western Australian Museum, the University of WA and the Geological Survey of WA. Late Cretaceous (Turonian) flora of southern Negev, Israel. Artist/Author: Krassilov, Valentin et al. Paleofloristic discoveries cast new light on plant evolution. They are also pertinent to tectonic, paleogeographic and paleoclimatic reconstructions. 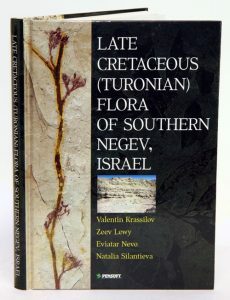 As a result of extensive collecting in the Arava Valley south of the Dead Sea, the Late Cretaceous (Turonian) flora of southern Negev currently appears to be the most representative for this age in the Gondwana Realm. The book presents a comprehensive analysis of a regional paleoflora from several points of view. Starting with a detailed description of the work previously done on the site, the authors extend their analysis to the tectonic and paleogeographic framework and the regional settings of the localities. Further analysis of the paleocommunities – mangroves, marshes, palm growth, aquatic and inland vegetation – are based on a detailed taxonomic study of the plant fossils. Most of the 46 species described in the book are new to botanical systematics; more than half of them are assigned to new genera. Systematic descriptions are illustrated by more than 120 color and 30 black/white photos. Detailed descriptions of species and communities recognized in the Turonian of southern Negev may serve as the basis for further studies in morphological evolution of flowering plants, as well as in climatic and paleogeographic reconstructions. The book is addressed to specialists in the fields of plant phylogeny, paleoecology and paleoclimatology. It is indispensable for any library collecting surveys on these subjects.